Just a quick upload today as I am determined to get to that studio and produce art! The computer is a false friend in many ways…you sit at it researching ideas and communicating with other artists and looking around and staring at images and, and….before you know it the morning has gone! 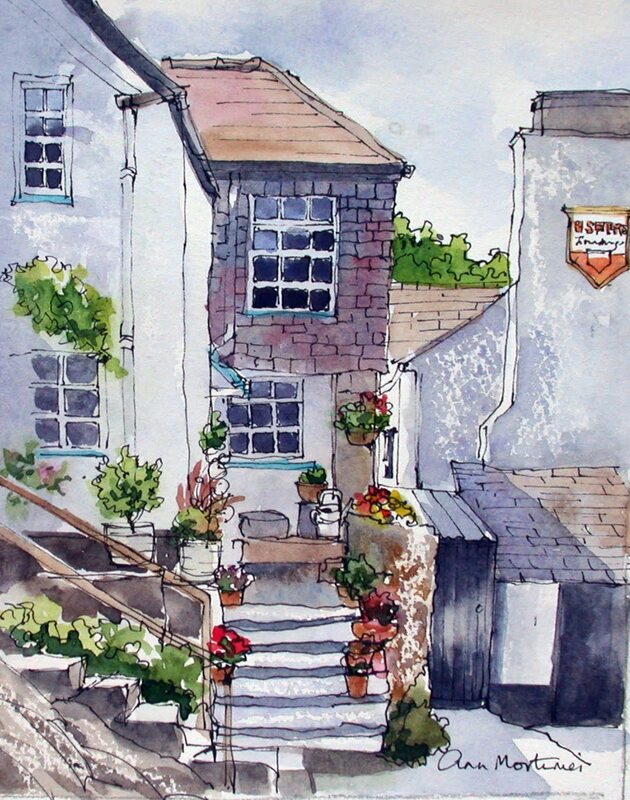 Here’s a pen and wash sketch of a cottage in Polperro which we visited on our Salcombe holiday. I’m thinking that the medium suits buildings and streets and stone structures. Hoping to do some of this work on my course in Derbyshire in August. The stone walls and structures in that part of the world lend themselves to pen and wash.